Can large organizations act entrepreneurially and innovate systematically at scale? In 2011, Ericsson (a 140-year old Swedish firm with around 100,000 employees) embraced Agile for its business in managing networks for the world’s telecommunications companies. Before 2011, Ericsson would build its systems on a five-year cycle, with a unit housing several thousand employees. When the system was finally built, it would be shipped to the telecoms and there would be an extended period of adjustment as the system was adapted to fit their needs. Now with Agile management, Ericsson has over 100 small teams working with its customers’ needs in three-week cycles. The result is faster development that is more relevant to the specific needs of the customers. The client gets value sooner. Ericsson has less work in progress. And Ericsson is deploying one to two years earlier than it otherwise would, so that its revenue comes in one to two years earlier. In 2015, a small team at Spotify (a rapidly growing, 8-year old music streaming company with more than 2,500 staff and more than 100 million active users globally) had an idea to solve a long-standing problem: how could users find the music they would really love in a library of millions of songs? What if, they asked, we could completely remove the friction for users by algorithmically matching users’ tastes with the several billion playlists created by other users and deliver a fresh playlist to each user weekly? When Discover Weekly was deployed just a few months later, it was a wild success—becoming not just a new feature but a global brand, resulting in an influx of millions of new users. The Discover Weekly team is just one of more than 100 small teams at Spotify, which has deployed Agile approaches to all work since its inception in 2008. Barclays is a 326-year-old transatlantic bank with around 130,000 employees). In 2015, Barclays announced that embracing Agile was a key strategic initiative and encouraged hundreds of teams to become champions of an Agile transformation. There are now more than 800 teams that are part of an organization-wide Agile transformation that is aimed at enabling Barclays to deliver instant, frictionless, intimate value at scale. These three examples were identified in the 2016 site visits of the SD Learning Consortium (SDLC)—a group of eight firms in the US and Europe that are sharing their experiences in operating entrepreneurially at scale. The examples are not isolated experiments in those firms. In each case, they are part of large-scale implementations of an entrepreneurial approach to running the organization with continuous innovation. The SDLC members range in age from 8 years to 326 years. The firms operate globally and have been on their various journeys for periods ranging from 15 months to 15 years. Some of the firms were “born Agile” while others are engaged in transformation from top-down bureaucracy. The 2016 visits of SDLC in 2016 included Barclays (London), Cerner (Kansas City), CH Robinson (Chicago), Ericsson (Stockholm), Microsoft (Seattle), Riot Games (Los Angeles) and Spotify (New York). There are now hundreds of thousands of Agile practitioners around the world and tens of thousands of organizations implementing Agile. The movement is driven both by the passion of those who love working this way and by managers who recognize that survival in an unpredictable and rapidly shifting marketplace requires a capacity to adapt equally rapidly. Delighting customers: An obsession with continuously adding value for customers and users, as well as a recognition of the current marketplace need to generate instant, intimate, frictionless value at scale, anywhere, anytime, on any device. 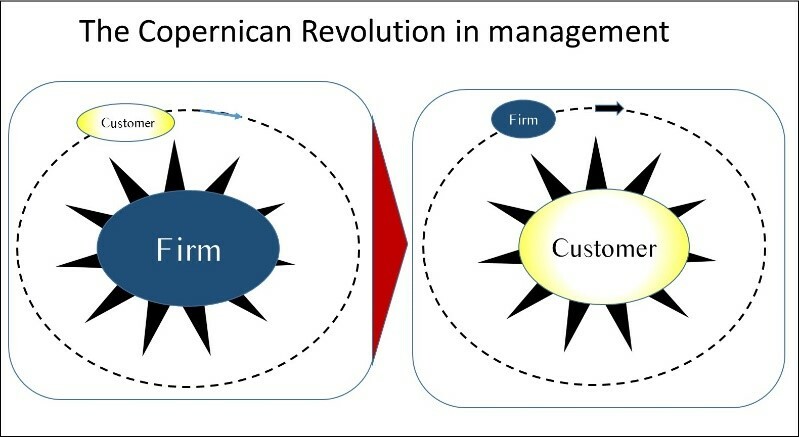 This is more than an increased attention to customers: it is a shift in the goal of the organization—a veritable Copernican revolution in management. Enterprise-wide Agility: A recognition that, to be fully entrepreneurial, the whole organization needs to embrace the entrepreneurial mindset so that the entire firm functions increasingly as an interactive network. Agile is not just for IT: it is a change in the way that the whole organization thinks, is led and managed. Nurturing culture: A never-ending commitment to actively nurture, and systematically strengthen, entrepreneurial mindsets and behavior throughout the organization. Pursuit of all four themes is key to sustaining the embrace of Agile. Individually, none of the observed management practices are new. What is new and different is the way that Agile management goals, practices and values constitute a coherent and integrated approach to continuous innovation, driven by and lubricated with a pervasive entrepreneurial mindset. The SDLC’s full report will be available here in November 2016.